March 21. AGM & President’s Address. Anthony Cross. Anthony will revisit Rev. Charles Spurgeon’s 1885 Boxing Night ‘lecture’, “Street Characters and Cries.” in which he used his magic lantern to entertain his congregation at the South Street Baptist Chapel, Greenwich. March 21st 2018 at James Wolfe Royal Hill Campus. Meetings commence at 7.30, doors open 7.15. We welcome non-members, from whom we invite a donation of £3 for each meeting. PLEASE NOTE THIS EVENT IS ONE WEEK EARLIER THAN PREVIOUSLY ADVERTISED AND WILL TAKE PLACE ON MARCH 21. February 28. LONDON 1840: Greenwich. Andrew Byrne. February 28th 2018 at James Wolfe Royal Hill Campus. Meetings commence at 7.30, doors open 7.15. We welcome non-members, from whom we invite a donation of £3 for each meeting. The latest of Tideway Community Lectures takes places early next month. “Neighbours and Friends Welcome – Foreshore Archaeology at Greenwich” will delivered by the Thames Discovery Programme’s own Helen Johnston at King William Court, University of Greenwich SE10 9NN on Friday 9th February at 7pm. The lecture will explore the rapidly eroding archaeology of the Thames foreshore and the role that the Foreshore Recording and Observation Group take in monitoring the site. The lecture will be preceded by drinks and nibbles from 6:30pm. January 24. History of the Royal Arsenal. Mark Stevenson. The history of the Royal Arsenal, Woolwich, began in the seventeenth-century and developed and expanded over the following 350 years. The archaeological investigation of this nationally important site only began in 1999 but has continued every year since. This talk will look at the history and archaeology of this fascinating site as well as how it was possible to record such a vast site that produced surprises along the way including evidence that took Woolwich back 6,000 years as well as how the regeneration of the site formed part of a European project. January 24th 2018 at James Wolfe Royal Hill Campus. Meetings commence at 7.30, doors open 7.15. We welcome non-members, from whom we invite a donation of £3 for each meeting. 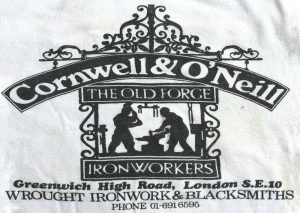 Cornwell and O’Neill, Blacksmiths: (from left to right) Danny O’Neill, Alan Cornwell, Peter O’Neill. Born 1954, Peter O’Neill, aged 19, started out welding and creating objects with wrought iron and steel in a garden with his best mate Colin Cornwell. They then went on to working for Cubows Ltd., at the Docks in Woolwich; building, repairing tugs, trawlers and coasters until, in 1976, they opened up their first business together, called Cornwell & O’Neill based in Greenwich. The business operated across two large workshops, which were based at 21 Greenwich High Road, and shared the yard with Mumford’s old flourmill. From a very young age I often went to work with my Dad at weekends and during the summer holidays. From going so often I could see how he played a key role in the community; anyone who passed by would stop to have a chat over the stable door, or a neighbour would just pop in to have their garden shears sharpened. I even remember the comedian Gareth Hale from Hale & Pace popping in one afternoon to talk about a job. An old work t shirt which I still have – Danny O’Neill. My Dad did a lot of work for the area, whether it was a small repair job or making a staircase, he enjoyed every minute and was very hard working. I would guess that most railings or gates in the area were most likely made or repaired by my Dad. Nothing proved this more then the week after his death, when two local people I had never met but came into contact with told me that they knew of him and one had window boxes made by him back in the early 80s. Dad once told me about a job he did once for a high profile celebrity born in the areas (I won’t mention his name!) Let’s just say that since that day my Dad always called him “Tricky Dicky”. My Dad made gates and railings for him but didn’t receive payment so he went to the house and started to remove them. Out ran Tricky Dicky in his bathrobe shouting to find out what was going on and saying that Dad couldn’t remove the gates and railings, as they were his. My Dad asked how they could be his when he hadn’t paid for them? With that Tricky Dicky quickly paid his bill and my Dad left, leaving the gates and railings in place. 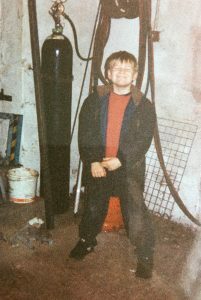 The workshop on Greenwich High Road was sold for redevelopment in 2000 so Dad moved up to Guildford Grove, where the business still operates from today under the name Greenwich Forge. 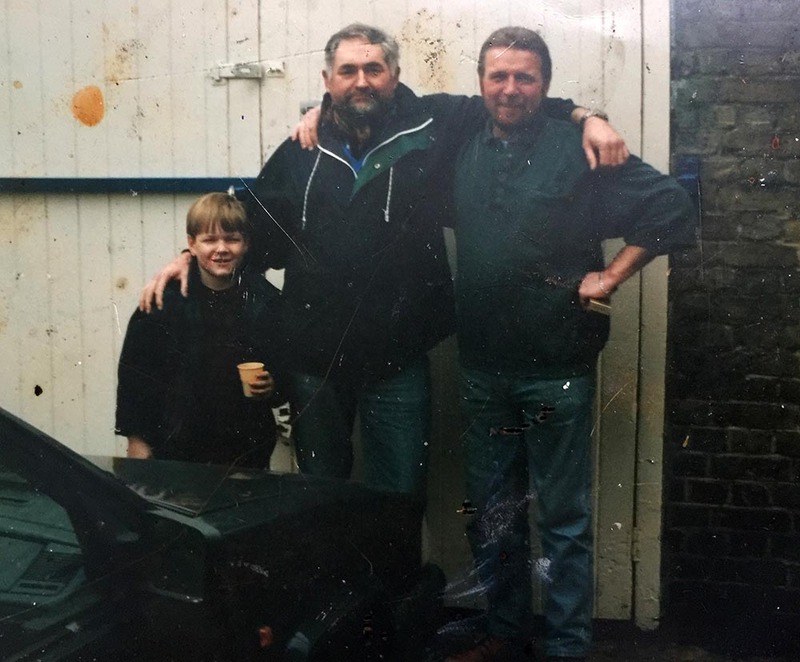 Dad’s work meant a lot to him but unfortunately, due to ill health over the years, he had to cut down on his time in the workshop – but even when he wasn’t there he still continued to give great advice. My Dad worked in the community for almost 40 years and made a big contribution to the area in that time. I am proud of the man he was and the work that he did. I have lots of fond memories of my time with him in the workshop and I hope that other people in the community will remember him fondly as well. Richard Hill, an architect working with Richard Griffiths, has identified a beautiful elevational drawing of the north side of the Church of St Alfege as by Nicholas Hawksmoor. In doing so, he has also made some new discoveries to do with the church and Hawksmoor. November 22nd 2017 at James Wolfe Royal Hill Campus. Meetings commence at 7.30, doors open 7.15. We welcome non-members, from whom we invite a donation of £3 for each meeting. Veronica Thornton taught art in south-east London for 30 years and is now based in Cambridge. She has just written her first novel, set the 1970s. and partly inspired by the long abandoned Greenwich to Crystal Palace Railway. As part of her research Veronica used old maps, various archive photos and magazine articles related to the subject. These are the images she will share in her talk, to show the railway as it was at different times in the 20th century. She will also explain how photos of the railway helped confirm the location of a Pissarro painting. * ‘Screaming Alice’ is Cockney rhyming slang for the Crystal Palace. They say a church is built of “stones” and also “living stones”. Fr Kevin will speak to you in a few moments about the “stones”of our church. My interest is more in the “living stones”, or rather, those that went before us. Any discussion about our present church has to start with the catholic naval pensioners of Greenwich. In the late 1700s their pastor was Fr John Griffiths who operated out of the London Road chapel.This had been built by catholic architect,James Taylor,of Islington. Fr Griffiths was determined to have a place of worship for these “old worn out sons of the sea”, near the Naval Hospital. Mr Taylor who owned a house on Park Vista, next to The Plume Of Feathers, agreed to lease part of his spacious back yard to the church. Fr Griffiths attempts to raise £1200 only achieved £260, but Mr Taylor stepped in and made up the shortfall. By 1793 St Mary’s Chapel was built. Mr Taylor also housed the priest at that time, in Clark’s buildings. The congregation then was made up of “Aged and infirm pensioners and the labouring poor”, according to The Laity’s Directory To The Church Services in 1825. In an article published in The Penny Christian Magazine of April 1833 a reporter writes a glowing account of the Royal Naval Hospital.In it he reassures the public that these old men,who have done their country such service, are being well looked after. Even their spiritual needs are being attended to,and all faiths are respected. He says ,”By an esteemed officer in this establishment we are informed…….that about 250 profess the Roman Catholic faith and are lead out by a boatswain of their own persuasion to their Romish chapel in Greenwich”. We know he started fund raising almost immediately. He got the old tars to give one or two pennies a week, from their allowance of a shilling from the Navy. And he wrote incessantly to the Catholic press of the time about his cause for “The companions of Nelson and other heros”. By 1841 he had managed to collect approx. £900, a vast amount for that time, especially considering how poor the donors were. 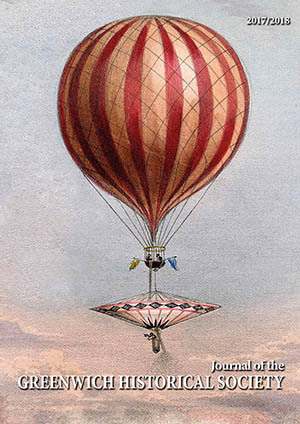 Unfortunately, Wrights Bank, where he had invested the money failed and he lost everything. It must have been crushing but, he started all over again and redoubled his efforts. He says himself in one letter, to be priest in want of money for a church, “One needs the tenacity of tooth of a bulldog and the hide of a buffalo!”. The Admiralty even donated £200 to the fund in recognition of his efforts with the old sailors. Amazingly he is sending money to Ireland also, to aid the poor there at the onset of The Great Famine. By 1846 though, enough money has been raised to buy a site, clear it and start building. By 1849 the spire is raised and by 1851 the first Mass is said. In 1852 it is finally consecrated to Our Ladye Star Of The Sea. Our church, these “stones”, have been at the heart of our community for 166 years. For prayer, for meeting, for solace on dark days and added joy on the bright ones. We give thanks for the determined pastors and generous sailors who made it all possible. “Our Ladye Star of the Sea” lecture was given on Wednesday 27 September by Father Kevin Robinson. May 24: Trinity Hospital. Ed Richardson. Trinity Hospital, built in 1614 is one of the oldest buildings in Greenwich. Photographer Ed Richardson’s interest in Trinity began in 1975 and has been his fascination ever since. To celebrate the 400th anniversary in 2014 Ed produced a photographic book and an 18 minute film using the present-day residents to provide an insight into their lives there. April 26: Mudlarking. Nicola White. When the tide is out along the banks of the River Thames, there is a myriad of pieces of history waiting to be found along the shoreline. Local artist and mudlark Nicola White searches the Greenwich foreshore for such objects to use in her artwork and also spends time researching the personal stories behind her mudlarking. Nicola will talk about some of her local finds such as small brass luggage label she discovered in the Greenwich mud which brought back to life the fascinating story of a local First World War soldier, Frederick Jury.